Among the most popular tourist trails in the world, Germany’s Romantic Road encompasses many of the country’s iconic sights. Spanning nearly 400 km (249 mi), the route crosses multiple German states, beginning in Franconia and ending in the heart of Bavaria. You can start off in the charming winemaking center of Wurzburg, where architectural gems include the luxurious World Heritage-listed Residenz. 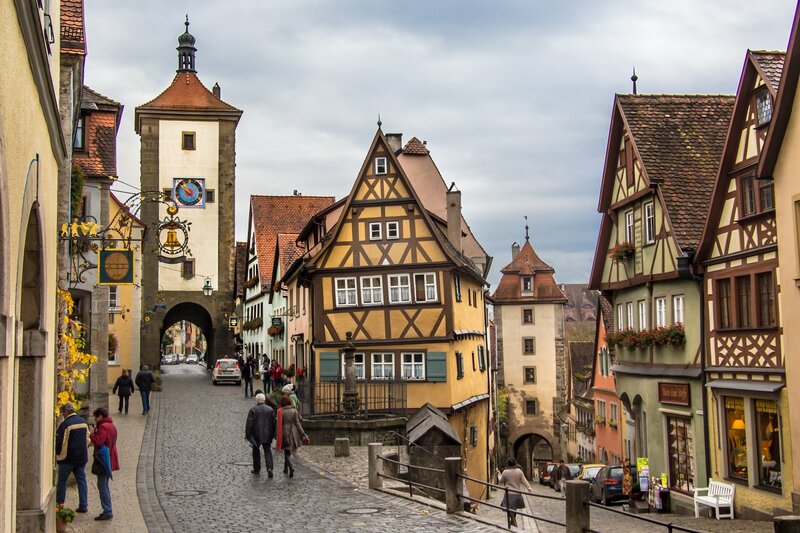 Ancient Augsburg and medieval Rothenburg boast their own share of marvels, such as Rathausplatz and Jakobskirche, along with winding alleys, cobbled lanes, and spectacular examples of Central European architecture. As you move deeper into Bavaria through Schwangau and Fussen, you’re perfectly positioned to cap off your journey at the legendary Neuschwanstein Castle. Embodying the intense imagination of Bavaria’s King Ludwig II, later the castle was the inspiration for Disneyland’s Cinderella Castle. Nearly five decades of Communist rule and Soviet influence can still be felt prominently in the cities of former East Germany. The once-divided capital of Berlin serves as a living reminder of this socialist era, from the monolithic Alexanderplatz to the remainders of the infamous Berlin Wall. Anyone with an interest in the history of the former German Communist regime should visit the Stasi Museum and the DDR Museum; both provide chilling glimpses into the terror inflicted on citizens between the end of World War II and 1989. 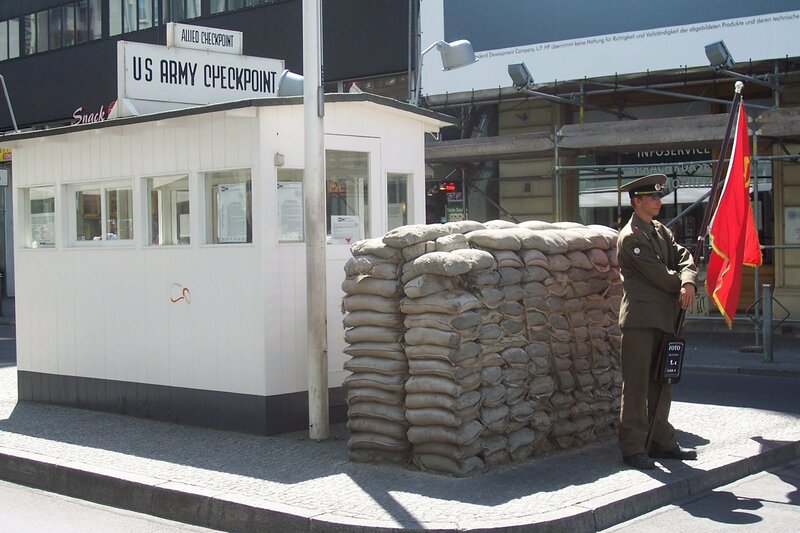 Don’t miss Checkpoint Charlie and its museum, which mark the crossing point between the former American and Soviet sectors of Berlin during the Cold War. Continue your historical tour of Germany in Leipzig and Dresden, two cities obliterated during World War II, suppressed during the Communist years, and reborn again at the end of the 20th century into beautiful architectural gems. Any beer-heavy tour of Germany simply has to include Munich: destroyed in World War II, the city lovingly rebuilt its historic core, giving it an air of charm among the finest in Europe. 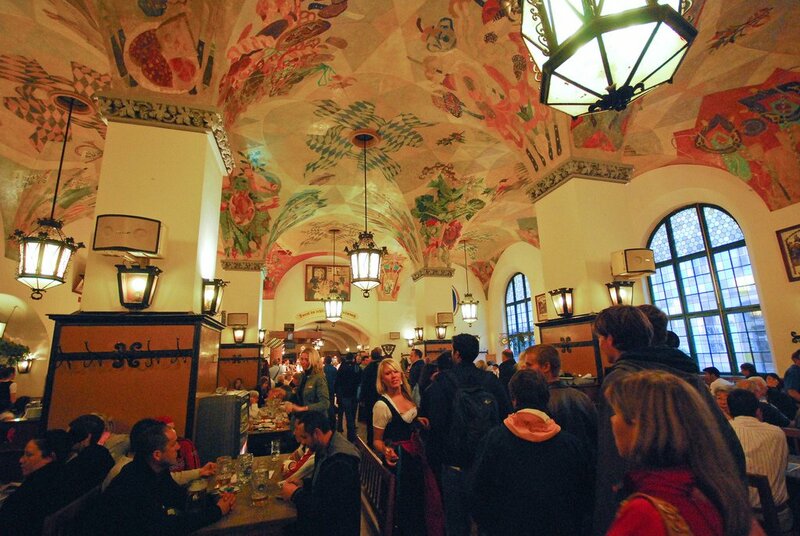 Famed beer halls like Hofbrauhaus and Lowenbraukeller—to name just a couple—are fantastic spots for enjoying a bratwurst, listening to classic Bavarian oompah bands, and of course, savoring some famed local brews from giant steins in a raucous yet family-friendly atmosphere. Break up your beer consumption with a bit of sightseeing in the lush, expansive English Garden and the restored Frauenkirche. You’ll also want to visit Cologne, whose proprietary type of “Kolsch” beer comes in neat little classes at nearly every cafe (particularly nice when paired with a tour of the immense Gothic Cologne Cathedral). Finish the trip in Bayreuth, where you can perambulate the leafy streets and boost your beer knowledge at the world-famous beer museum, Maisel’s Brauerei und Buettnereimuseum. Germany offers far too much in terms of world-class destinations and awe-inspiring attractions to be “done” on any single trip, but you can certainly make good use of the country’s efficient rail system to pack in a huge array of fantastic locales. Beginning your grand tour in Berlin gives an essential introduction to Germany both old and new: from Communist relics and historic streets to hip Bohemian enclaves and some of Europe’s most energetic nightlife, the capital has it all. Head south to Potsdam to explore an ancient city and the nation’s largest World Heritage Site; you’ll find this pleasant suburban town awash in lakes, palaces, and other legacies of its 1,000-year history. Hamburg is next up—the titan of the north and Germany’s busiest commercial port. 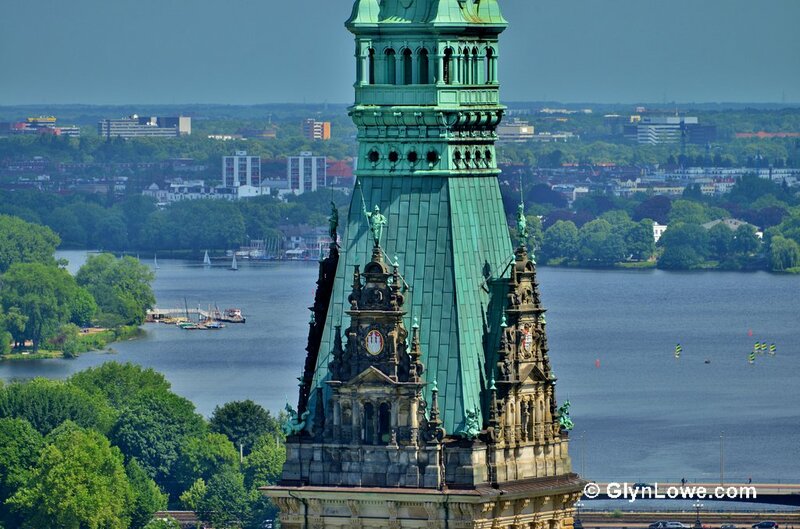 The Hamburg Museum walks you through the city’s industrial heritage, while a stroll around town reveals plenty of reasons why it consistently rates among Europe’s best places to live. 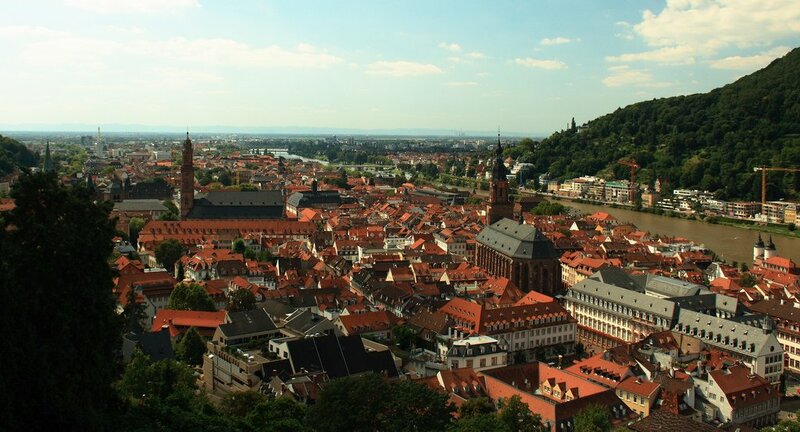 Gorgeous 10th-century Wurzburg serves as an emblematic slice of the famed Romantic Road, and together with nearby Heidelberg it showcases some of the finest Baroque architecture anywhere in the world. Gems like the St. Kilian Cathedral, the Alte Mainbrucke, and Heidelberg Castle are highlights of this part of the itinerary. Finish your tour off in Munich by exploring the reconstructed Marienplatz and partaking in some Bavarian traditions at the legendary Hofbrauhaus beer hall. One of the world’s most popular destinations for travelers, Germany encompasses such a wide diversity that no two journeys here are the same. From bustling, powerhouse cities to the charming countryside, Germany has something for everyone; these sample itineraries represent just a few of your options—the only limit is your own imagination. Try using Inspirock’s free trip planner to make crafting your journey in “Deutschland” fun, exciting, and easy.